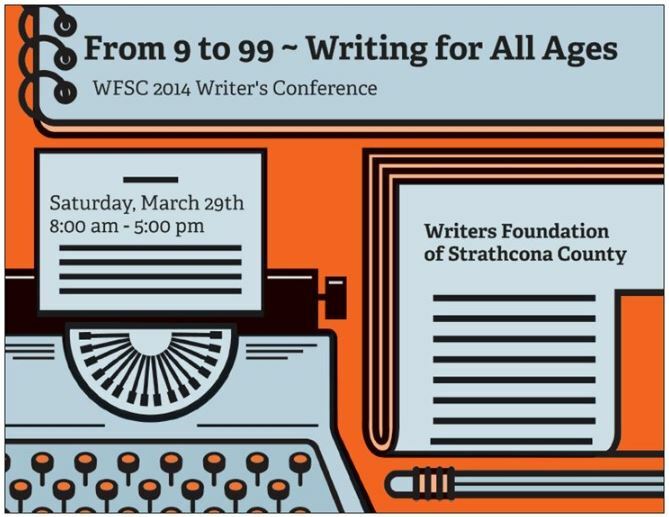 My main event for this week is on Saturday, which is my writing group’s 8th annual conference. It is always a incredible day of words, writers, writing, networking and meeting new authors. This year to celebrate Canada’s 150 – we have made the theme Canada – no surprise there! The sessions will be all things Canadian and a fun interactive workshop will be the first session to set the mood. It is a full day (separate sessions can be booked if preferred) testing your writing skills, learning and embracing the written word. I am presenting one of three short workshops in the first hour but my main presentation is later in the day. My workshop will be creating a Canadian character. I have worked hard to make the session interesting, informative but also fun! Wish me luck. In Picton, ON, and the surrounding area, the Prince Edward County Writers Festival takes place April 20–22, featuring Steve Burrows, Joy Fielding, Wallace Edwards, Merilyn Simonds, Zoe Whittall, and others. 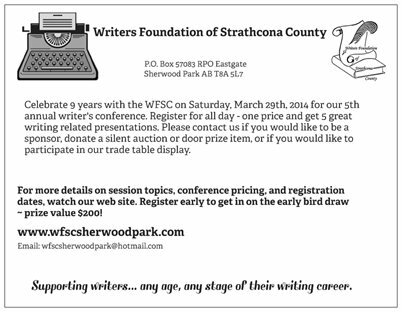 This week is Board meeting week – my first meeting is tomorrow for the Writers Foundation of Strathcona County – we will be planning our annual conference, which will be held on 22nd April as well as numerous other agenda items. On Wednesday it is the Arts & Culture Council meeting, where once again planning will be in full swing for our AGM on 12th April and our heritage day event in June. So all in all a busy time for the next few months. I find that involvement in these boards can be time consuming at times but it brings so many benefits. To be involved with these art organizations gives me the chance to meet new people, experience new art forms and have fun planning events! I did manage to attend the open mic event last Wednesday evening and read to a full house! I did worry I would begin coughing but manage to read all of my excerpt from The Twesome Loop without coughing once, although my mouth was arid. There were so many wonderful people to connect with and the readings were excellent. One woman read for the very first time in public while others were old hands. We heard poetry, rants, manuscript excerpts and one young poet (14 years old) read an exceptional piece called Beautiful for Women’s Day. She was amazing. Do you have any writing or reading events this week? Care to share? In Victoria, BC, WordsThaw returns to warm the University of Victoria from March 16–20. This week’s events for me are mostly Board meetings. The first is tomorrow – Writers Foundation meeting where we will be planning our annual conference among other things. The conference is a major event for the foundation and we are always delighted to welcome prestige presenters. The event is open to members and non-members and is always an enjoyable and informative day. On Wednesday I will be chair for the Arts & Culture Council board meeting and again there will be planning to commence for our 150 year Canada celebration in the summer. Both boards enable me to indulge in the arts and spread the word in and around our locality. Do you belong to a board? How does it help you and your community? Saturley paints Canadian Contemporary Realism. Making art for over thirty years, and painting in acrylics for fifteen. Saturley gained national attention with her paintings inspired by Canadian culture and sport including goalie masks, Canadian athletes, the Canadian flag, the Montreal Canadiens, Alberta Rockies, and Canadian wildlife. The Galiano Island Literary Festival, which will kick the new season February 17–19 with authors including Gail Anderson-Dargatz, Carmen Aguirre, Janie Chang, Anosh Irani, Jennifer Manuel, Heather O’Neill, Bev Sellars, and Yasuko Thanh. Please share your local writing events here.